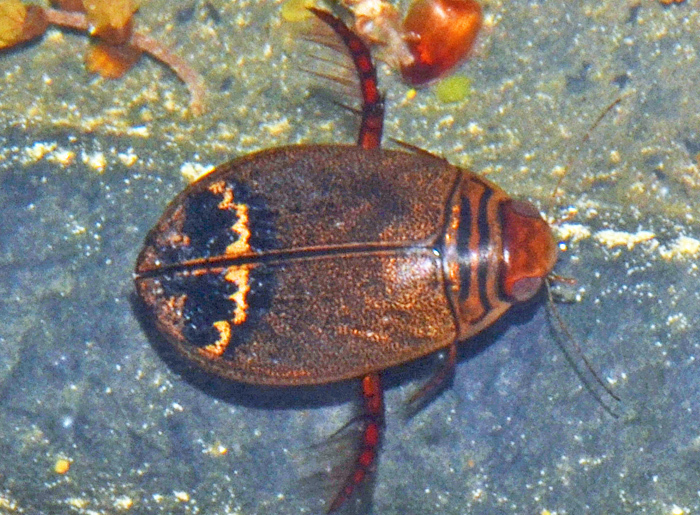 Acilius is a Predaceous Diving Beetle that is frequently encountered in spring during mating seasons or in late fall when they disperse to overwintering sites. They are very active after heavy rains and can actually fly. I found this one in my truck bed which had turned into a little pond after heavy rain during the night. The photo shows the submerged beetle. My attempts to get it out of the water failed miserably--they are fast divers.